Since its beginnings, led by Santiago Sabatés, Eurofragance has always been characterized by its nomad spirit, always looking for unique and extraordinary raw materials to create innovative fragrances. That is why, Eurofragance has released “Nomad Saga”, a creative project that embodies the company experiences and knowledge: discovering and absorbing new cultures, raw materials and ways of working on them. Last year, the company presented the Nomad Saga experience Nomad Tales in BWME 2018, a unique sensorial collection formed by four adventures told through four exclusive fragrances (Jasmineair, Aquaoud, Cardamon'fire and Shamamia). This year, the company will launch the new Nomad Saga experience “Cosmic Nomad”. Cosmic Nomad is described as a multi-sensorial mission to discover a celestial universe. Eurofragance invites you to join this epic journey and surf across the Milky Way among the heavenly luminous stars, exploring with us ingredients and fragrances gathered from the outer space. The Cosmic Nomad and the galaxies she visits are the fundamentals that make our raw material exploration very unpredictable and playful. Vetiver is a true signature for timeless scents. Vetiver asteroid is built around woody notes. It first introduces the freshness of bergamot and the vivacity of pink pepper. 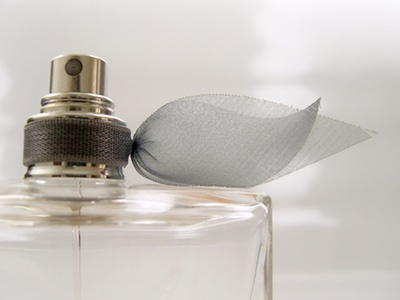 The heart features sensual notes of oud enveloped in a floral scent of jasmine. 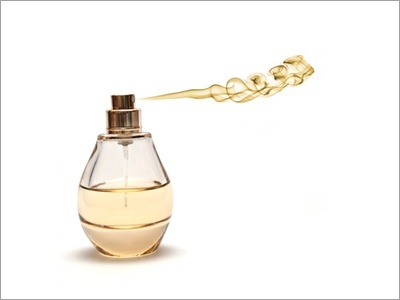 Dominated by vetiver, the fragrance goes deeper with creamy sandalwood and sensual ambergris notes. 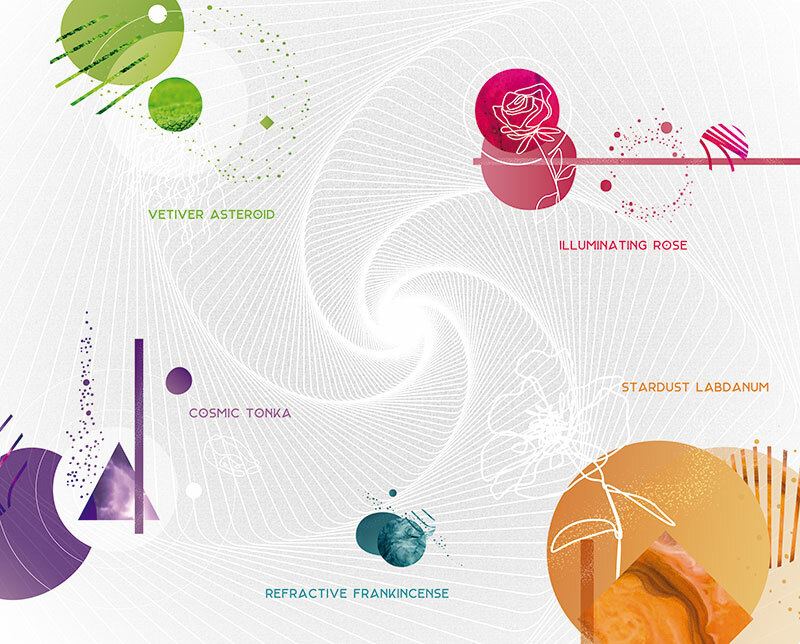 As rich and intoxicating as its true nature; the rose is also a gateway to a galaxy of wonders luminous and magical. Our illuminating rose opens with spicy notes of cardamom and saffron. Its heart beats in a floral rhythm, composed of rose syrup and delicate iris. The warm dry down features sandalwood, patchouli, vanilla and amber. A transcendent scent, sweet, hypnotizing and mystical. Juicy bergamot contrast with a gourmand heart of Tonka beans and ambergris wrapped up in hypnotizing notes of labdanum, musk and oakmoss. Labdanum with its balsamic structure captures the cosmic dust and becomes an interstellar body of various facets. Stardust Labdanum is built around a duo ingredient: labdanum and rose accentuated by spicy notes of saffron and pink pepper. The sensual base features warm notes of leather, vanilla and amber. A mystical aura of color and magic, Bright and crispy, metallic and bold. Fresh notes of Italian bergamot combine with warm olibanum oil. A spicy twist of pink pepper and cardamom leads to floral notes of rose and geranium enveloped in a sensual trail of ambergris, cedarwood and musk.